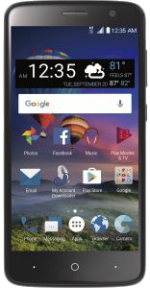 Choosing the best cell phone or plan for you is simple with MyRatePlan! Make the best decision on a new phone or plan by using our custom phone and plan comparison tools. 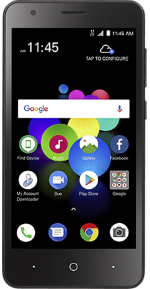 MyRatePlan saves you time and money by finding the lowest price for a given cell phone model from among our multiple carriers. 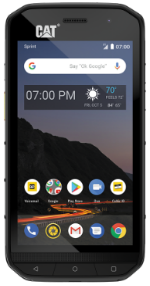 MyRatePlan saves you time and money by finding the lowest price for a given cell phone model from among our multiple carrier and retailer partners. The 3rd party vendors in the price comparison (e.g., LetsTalk, Wirefly, Amazon) are authorized online retailers of the featured carrier. The prices displayed are for new devices, in the original manufacturer packaging, with a full new phone warranty. New Phone(s) and Plan requires activation of a new line of service on a two year contract with the featured carrier. Contract Extension requires two year contract extension of an existing line of service, on a qualifying rate plan, with the featured carrier and is only available near the end of or after completion of the existing contract; rules vary by carrier. Credit approval or deposit may be required. Price shown may not be available on all rate plans. Other restrictions and conditions apply. Taxes not included. Accuracy of information is not guaranteed: Prices and availability can change without notice. Family plan phone pricing is the price for 2 phones; additional phones may be available on a family plan at different prices. 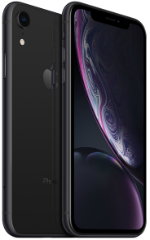 For Phone Only, prices are also for new devices, with the exception of eBay, where phones are listed by private sellers in a variety of prices and conditions. Buying directly from the carrier is often a bad idea, as they frequently charge the highest prices for the phones. The differences can be dramatic. When you purchase cell phone service, you are buying a piece of equipment (the cell phone) while simultaneously subscribing to a compatible carrier rate plan for that phone, usually agreeing to a two-year contract with the carrier. 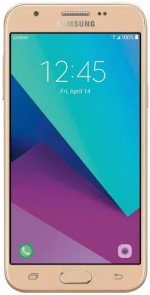 Regardless of whether you buy the equipment directly from the carrier or from an authorized retailer, online or at a retail store, the available rate plans for that phone will almost always be the same --- they are the ones currently made available by the carrier with whom you are establishing service. However, cell phone prices can and do vary by where you buy. Buying directly from the carrier is often a bad idea, as they frequently charge the highest prices for the phones. On the other hand, independent retailers set their own cell phone prices individually, and the differences can be dramatic. Additionally, you will usually find that online retailers, lacking the overhead of physical stores, have the best prices of all. By working with several online authorized retailers, MyRatePlan strives to quickly find you the 'best of the best' phone price, saving you both time and money. 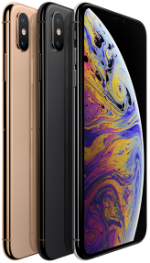 If you're looking to get a new cell phone or cell phone plan, the vast selection in the marketplace can be genuinely overwhelming. There are a ton of different phones to choose from, and it can be difficult to decide what's best for you. 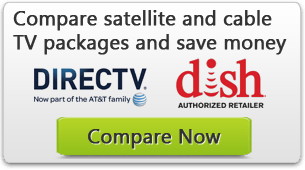 MyRatePlan's cell phone plan comparison tool makes finding a new cell phone plan simple. If you are looking to purchase a cell phone, you should first decide on which factors are most important to you. These factors might be price, early termination fees, phone selection available within a network, or other factors. Once you know which factor is most important, you can target a carrier or phone that is designed to be best in a particular way. In the highly competitive cell phone industry, carriers and phone manufacturers attempt to differentiate themselves by targeting specific needs. This means that cell phones often offer something unique like a nationwide plan, international calling, or group plan. For this reason, you should aim to work with a carrier that aims to be best in a particular field. By doing this, you’ll be able to save on what you want most. Price is one of the most important things to think about when choosing a phone. 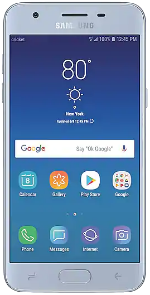 Phones and plans range from low cost to very expensive, and you definitely want to find a phone and plan that fits within your price range. From prepaid options to low monthly payments to the most expensive phones on the market, there is an option for everyone. Determine your price point, and you’ll be able to do your research from there. Some of the most popular carriers are Verizon, AT&T, Virgin Mobile, T-Mobile, Sprint, and more. Some phones are only carried through a certain carrier, so it's important to make sure the carrier you choose has the phone you want. Each also has certain advantages. For example, Verizon has a coverage network that blankets more than 99% of the United States. In contrast, companies like Boost Mobile will assess additional roaming charges when outside of major cities. Those who travel often or live in multiple places should consider getting their phone plan from a carrier that offers exceptional nationwide coverage. Individuals who spend most of their time at home or in the office should make sure that their phone carrier has good coverage where they plan to use the device. When picking the right phone, you should take a look at the features offered. These range from keyboard and interface, camera and video capabilities, memory, accessibility, operating systems, and more. 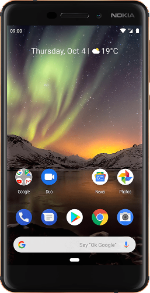 For example, some phones are designed to have exceptional storage capabilities for users who plan to store a great amount of data on their device. Other phones are designed to be more like a personal computer, with cellular capabilities being mostly secondary. For corporate use, it may be important that a cell phone's communication is encrypted or that it supports unique applications. If you plan to use one of these unique applications, it will be important to use a phone with a compatible operating system. For all of these purposes, there are specific phone plans designed to meet those needs. You should also compare phones based on their unique features as well. 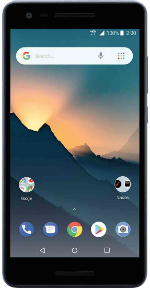 In an attempt to be different from the rest of the competition, most phones offer a unique feature that might be right for specialized applications. For example, contractors might benefit from a cell phone that has a rugged design that will be protected from falls. These rugged phones can also be appropriate for those who engage in competitive sports and outdoor activities. Another type of phone, called a push-to-talk phone, gives users the optional capability of utilizing their phone as a walkie-talkie. Since cell phones are capable of picking up a signal in any city, these can be much more useful than regular radio-based push-to-talk communication devices. Finally, some cell phone carriers have cameras with exceptional resolutions that are designed for photographers or those who like to post images on social media. You may also want to compare potential phones based on their cosmetic appearance. This is a valid way of differentiating smartphones since they will often be used visually when browsing the Internet. Many phone buyers today like phones with an "open" design where they don't have to open the device. These are similar to tablets, as they have touchscreen displays and usually have advanced functionality. Another type of phone to consider is a flip phone, which mostly takes input from either a number pad or a touchscreen. Finally, there are slider phones which offer a full keyboard instead of a number pad. These can be convenient for texting or browsing the Internet, especially for phones that don't have a touchscreen display. Not all cell phones use the same protocols or technologies to communicate. Further, some phones allow users to access multiple networks depending on available signals in a given location. Most cell phone carriers today offer at least 3G coverage, which provides high-speed Internet access while traveling in most places. Many large cities today have 4G coverage, which offers speeds up to 5 megabits per second. If you plan to use streaming video or spend most of their time browsing the Internet should look for a phone that has 4G coverage. WiFi is another nice feature to have, even for those with access to advanced Internet connections. Since most WiFi connections offer unlimited bandwidth, they can be used as an alternative to more expensive 3G and 4G Internet. Those who plan to use a cell phone at home or in the office should make sure that it provides full support for WiFi. Last, it is important to take a look at the length and terms of the contract. Many carriers require at least a two-year contract. As part of agreeing to these terms, most carriers will offer advanced smartphones either free-of-charge or at reduced rates. This can make a device such as an iPhone or Android much more affordable. However, it also obligates you to agree to a contract that might exceed the term of their current employment. As a result, you should carefully evaluate the costs associated with early contract termination. Most carriers charge a fixed fee plus an additional amount for each month still remaining in the contract at termination. Carriers that have excessive charges for early termination should be avoided. Also, contracts can change based on how many users will be on the plan and how many minutes you have on your plan. You’ll want to consider data plan costs, text messaging costs, and more when considering the contract.